So I wrapped up Daniel Jose Older’s Last Shot this weekend just in time to go see Solo in the theaters this past Sunday. Once I heard that Rogue One was officially announced I was very giddy about the Star Wars “one-shots” that Disney was planning on developing. I think it was a great move to put a one-shot in between each of movies in the final trilogy of the Skywalker Saga. Rogue One had me off the bat after seeing the first trailer. I thought that the story was going to be compelling and I didn’t remember anything from Legends that touched on it very deeply. I remember exiting the theater after seeing Rogue One and honestly was torn about it. I felt that the story was strong and I loved the visual mood of the movie. My only pet peeves were Tarken, who I thought looked awful (note: my wife didn’t even realize it was CGI) and I didn’t feel like Jyn’s background matched where she was in the present situation. What I did enjoy were the side characters. New characters like Baze and Chirrut where exactly what I wanted to see in a new SW movie that was not directly* related to a Skywalker. After watching Rogue One a few more times, it grew on me and pretty much became my favorite Star Wars movie since the Original Trilogy. I enjoyed both TFA and TLJ, but I think that because I read a lot of SW books/comics the continuation of the Skywalker story has had its time and I am just along for the ride for that narrative arc. However, with these one-shots (and the subsequent Benioff/Weiss and the Favreau series) I feel like I am going to REALLY enjoy some of the stories we are going to see not directly related to that arc. Last Shot was decent. I enjoyed the story. It made sense and introduced a few new contexts in the universe that have been hinted at before but had not been brought into canon. I also liked seeing what I consider a darker (horror?) story coming out of the new Solo context material. The dual cover of the hardback is very very cool. I liked L3 a lot in the book. 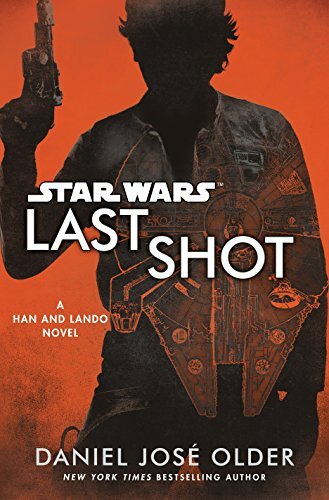 Loved the back and forth of Lando & Han and how neither will tell each other the full story but as the reader, you get to see it unfold as they unfold and become closer. Ewok slicer sounded very interesting on the outset. The fact Peekpa couldn’t communicate with half the crew seemed odd seeing that her focus was information gathering. (yes, I know we see it with Chewie all the time). I liked Lando questioning settling down and his place in the world. The She/He/Them with Taka felt added to let people think Disney is forging a new path in literature and breaking barriers but I kept trying to figure out if I read something wrong in thinking he was human or if he was some dual being entity and I just missed them talking about it. I loved Solo. I unabashedly loved this movie. It was everything I wanted in a Disney Star Wars movie - amazingly fun, action-packed and some new storylines introduced and some added to. That being said I look at it as a completely different type of movie than Rogue One. Rogue One was a background story that we were filling in, but Solo felt a lot less restrained, and the main concept of the movie (how did Han get to be Han?) had a lot fewer rails than Rogue One which I think worked in its favor considering its faster story pace. I didn’t like L3 in the movie. I loved the idea of a self-built droid who had scruples and in Last Shot, an overall mission. The L3 in Last Shot had a purpose and not only aided Lando (similar to Vuffi Raa) but also wanted to progress what she felt were causes important to her. That fell short in the movie. She felt over contrived and almost a liability in most scenes she was in. The belief in those causes was there, however, how they played out seemed comedic and almost annoying sometimes. Again I loved the back and forth between Lando and Han. The conversation right after they land at Savareen might be my favorite conversation between the two in any SW story. Three big action sequences - the movie felt like a summer blockbuster and just kept moving forward. Near constant action and I think that was exactly what Han’s one-off needed. but…I felt like that was at the expense of character development we got a few shallow side characters. I was bummed when Val only had 10 min of screen time total. In that 10 min, she was amazing; I would have loved to hear more about her and Rio and how they ended up with Beckett. Instead, they were both gone in what seemed like a flash. I loved the “hey guess what, Maul’s still here for all you people that don’t watch our TV shows.” I did not expect Maul in any way to be in this movie until the mention of Teras Kasi. At that point, I started putting two and two together about what would be going on with the Shadow Collective at about this time. Once Qi’ra picked up the ring I was on the edge of my seat to see if Disney would have the guts to put Maul in there after 90% of the people that go to this movie believe him to be killed by Obi-Wan. Some are going to call it fan service, I am going to call it excellent and glad Disney took some chances with it. Finally I loved the Cloud Riders being the Rebellion in infancy, it gave the film some weight that it was missing and made it feel like part of the bigger story and not just about Han. I don’t know how I feel about seeing Han flip to their side so quickly. They lined that scene up with Qi’ra talking about Han being a “good man”, so that lends itself to him flipping to Enfys band so quickly - but I think the quickness with which he did it in the movie was odd. Finally, Enfys Nest (and crew) were very cool characters. Neat seeing TPM’s Warwick show up in the Rebellion and one of Saul’s two Twotubes characters (not sure which it was) also being part of her group in infancy. At first I thought Enfys’ helmet removal scene felt like it was supposed to wow the audience into knowing who she was but sitting in the theater I couldn’t think of anyone (maybe Sana?) that she could be, later on I realized that the “wow” of it was for the audience to recognize that she was young and that the rebellion was young and these people had a fighting spirit and that youth could attract youth to grow the rebellion. Raise your fist but also raise your children. 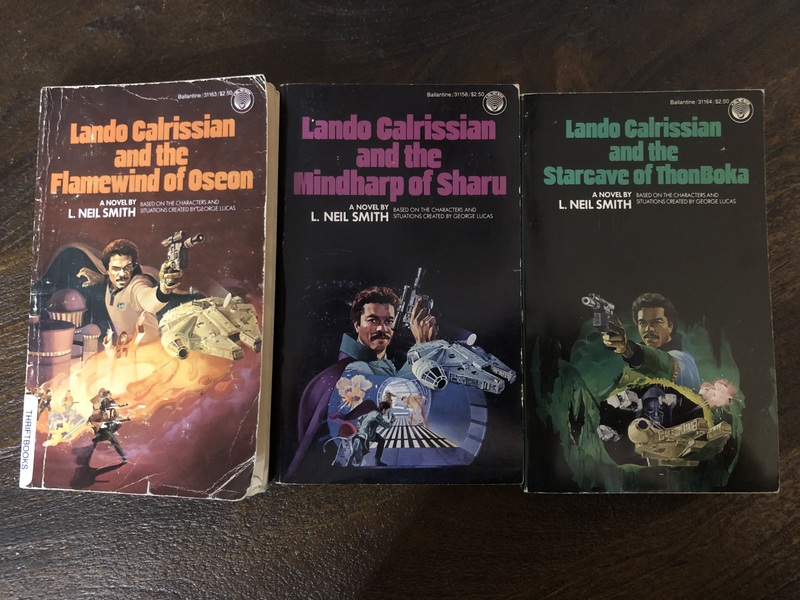 I picked up pretty much all the books around Solo. Pablo’s Official Guides are pretty much always must-reads for me, and I love going through the “Art of” books for each new release. Both are excellent, and I highly recommend. with the Beckett one shot also in the queue when it hits. If you are still reading this and haven’t seen Solo (I hope you didn’t spoil it, I gave ample warning) do go see it. Totally worth it to see on the big screen.